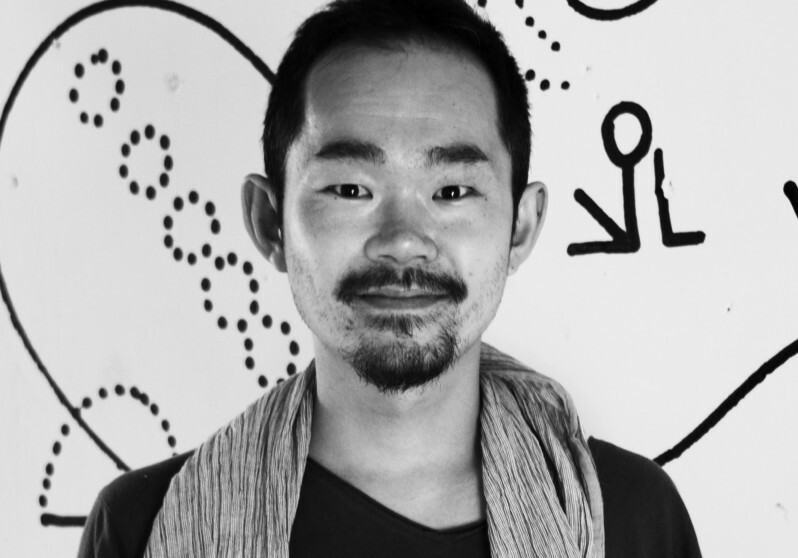 Vancouver Biennale Artist in Residence, Hiraku Suzuki will doing a “life drawing performance” in collaboration with local sound artists Ross Birdwise, Soressa Gardner, and Joe Rzemeniak at Coal Harbour Community Centre. Mostly spontaneous and improvisational, Suzuki’s Vancouver Biennale workshops have drawn heavily from momentous interactions with nature and forms of language. Today he works across a wide range of media, including drawing on paper, installation, mural, video, and sculpture. In most of his artwork, Suzuki refers to “Genga”, the abstract shapes that constitute a language form in itself. Ross Birdwise is a Vancouver-based musician and visual artist. Much of his recent electronic music, whether beatless noise, or some sort of beat driven experimental music or free improvisation, is concerned with the deliberate manipulation of the listener’s sense of time and space and is concerned with disrupting or dequantizing the quantized grid that underlies much electronic music to attempt to create musical space-times that are alternately fluid, lurching, malfunctioning, awkward, violent or organic. Ross Birdwise has also been active in the arts as an arts writer, curator and convener of conferences and other events.